Courses and Other New Features! 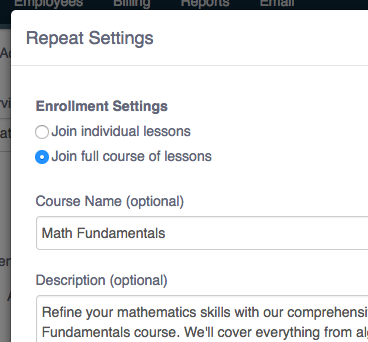 If you’re using our Website Booking Plugin or Open Classes Add-On, you can now allow students to join a repeating series of lessons directly from your website or through their Teachworks account. To enable this feature, go to Account & Settings -> Integrations & Add-ons -> Open Classes Add-On -> Manage and select the option to “Join Course”. Join full course of lessons – this option allows students to join an entire series of lessons at once. If you select this option, the form will expand and you can add a course name and detailed description. Students can easily view the upcoming dates to make sure the lesson times fit their schedule. For more information on how to enable and use this new feature, visit our Knowledge Base! We’ve added adjustable time slots to the website booking plugin – choose between 30, 60, 90 or 120 minute increments. To customize this, go to Account & Settings -> Integrations & Add-ons -> Website Booking Plugin: Settings. On the “General Settings” step, you can scroll to the “Booking Settings” section to select your preferred time slot duration. We’ve added the option to add HTML, links and images to the instructions field and the completion message field on Custom Enrollment Forms. We’ve upgraded to Stripe’s most up-to-date method for securely processing payments. From a user experience point of view, nothing has changed. The Bio field is now included in the Employee List Download, making it really easy to view all teacher bios on a single screen. 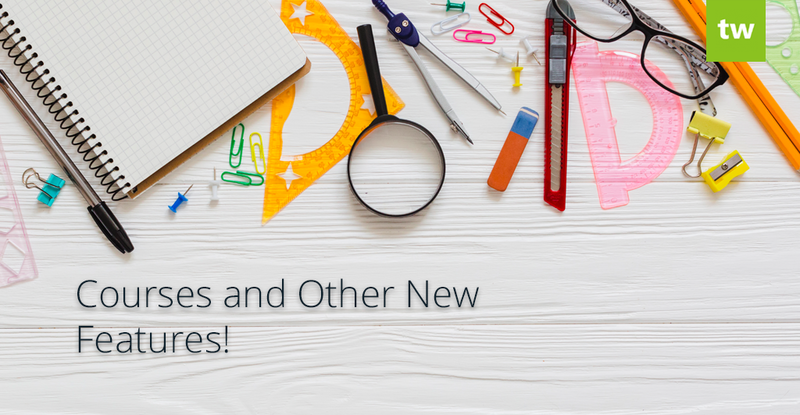 We’ve updated our new pricing to exclude cancelled lessons from the lesson count calculation, so the additional fee will not be applied for these lessons.